Kauai Air Tour + Smith's Family Luau! 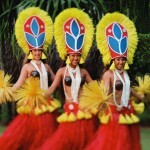 Two Great Kauai Tours for One Amazing Price! 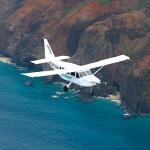 Our most popular Kauai air tour encompasses the entire island of Kauai. Enjoy views of Menehune Fish Pond, the Tunnel of Trees, Captain Cook’s Landing, Waimea Canyon, the Napali Coastline, Lumahai Beach, Hanalei Valley, Kilauea Lighthouse, numerous cascading waterfalls, and miles of beautiful coastline and beaches. Unlike helicopter tours, AirVenture’s eco-friendly, six-passenger planes fly slow, smooth and stable with lots of time over Kauai’s landmarks. Each seat is a window seat with extra-large viewing windows so you can take in the amazing views and get those great shots to share with family and friends. The Smith family created their tropical paradise over 50 years ago to celebrate the Hawaiian spirit of aloha that they love and live by. Today, four generations of their family continue to honor that tradition with the most famous of Hawaiian celebrations, the luau. Food may be the heart of a luau, but music is the soul. The Smith Family’s Hawaiian ancestors preserved their history by passing down songs and chants called mele. At their luau, they celebrate these traditions, as well as the songs and dances from other cultures that live in our tropical paradise. *This special offer is only available by calling one of the phone numbers listed above and cannot be combined with any other special offer, coupon, or discount. Price subject to change without notice.